Set of chain ring bolts 7.2mm long. See below on how the size is determined. 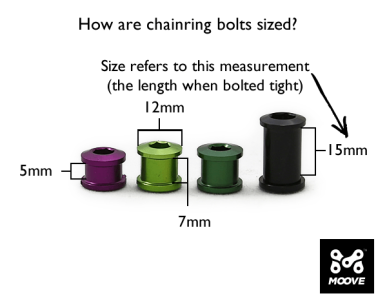 How chainring bolts are measured.